“We will die but not give our land.” This is the cry of residents of 50 villages in Rajasthan’s Jhalawar and Baran districts. They are at risk of being displaced by a dam planned in the area for irrigation and drinking purposes. 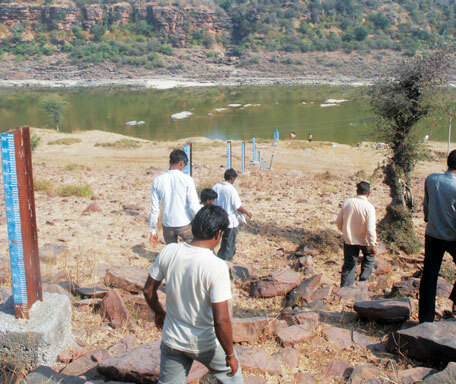 The dam will be built 120 km from Kota town in Akawad village of Jhalawar on river Parwan. At an estimated cost of Rs 1,114 crore, the dam’s capacity is 490 million cubic metre (MCM). Of this, 300 MCM is reserved for irrigation and 50 MCM for drinking (for 862 villages). The dam also has provision for supplying 100 MCM to thermal power plants. The dam is likely to submerge 10,000 hectares (ha), including more than 1,600 ha of forestland. The state government says the dam will completely submerge 17 villages and partially inundate 30 villages. Residents allege that the government’s definition of complete submergence is skewed. “The planned dam will submerge almost 50 villages, but the government does not recognise this,” says Hari Ballabh of Manpura village in Jhalawar. Most of the residential areas in the two districts are on a hillock, while the agricultural land is at a lower altitude. “What is the point of declaring villages at a higher altitude partially submerged if their fields and roads are going to be fully inundated?” asks a resident of Bilendi village in Baran. As a result of the categorisation, the government has served a notice under Section 4 of the Land Acquisition Act, 1894, only in the villages termed completely submerged. The Section 4 notice identifies the area that is to be acquired for public purpose or a company. Any person interested in the identified land can file an objection against the notice with the Collector within 30 days. Akawad village has not been served the notice. Residents of the villages that received the notice have filed their objections under the name of Parwan Doob Kshetra Hitkari evam Jungle Bachao Samiti (PDKHJBS). A people’s organisation, PDKHJBS is headed by Lokendra Singh, resident of Sarthal village in Baran. “Most people have small land holdings or are landless and till someone else’s land. Where will they all go?” he asks. A resident of Bukhari village in Jhalawar points to another problem. “Nobody is interested in marrying the youngsters of our villages because they believe we will lose our land,” he says. Is the dam really needed? The land in the submergence area is extremely fertile with “black cotton soil”. The common crops grown are garlic, coriander and soy. 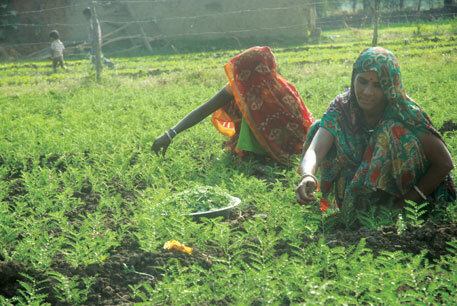 “People in the region have government-licensed pattas (land titles) for the cultivation of opium and it is well known that opium grows in fertile soil,” says Chhattrasal Singh, member of PDKHJBS. But the residents say the government has categorised their land as barren or a single-crop land so that compensation amount decreases. “The government authorities have not yet informed us about the rehabilitation and resettlement package,” informs Bhanu Pratap of Maloni village in Baran district. The tubewells go 90 metres deep in the area and no rainwater harvesting is practised. His son says the decision of having a dam or not cannot be based on the present situation. “We will need it in the future since the water level is going to fall if we keep using groundwater,” he says, adding, “but people should be adequately compensated otherwise it will be injustice.” Durga Daan Singh of another village in the command area is unsure. “I do not know if it is fine to have development at the cost of others. We sometimes get water from the Shergarh weir (barrier across a river) but it is causing problems since the government is not maintaining it,” he says. The weir is 10 km downstream of the proposed dam. There is another issue that is bothering residents: the dam’s water allocation provision for thermal power plants. “Adani is setting up a plant in Kawai. If water is given to power plants, the purpose of the dam will be defeated,” says Narendar Singh. Similar concerns are voiced by those in the submergence area. “More than half the water from this dam will be given to power plants. Government would not give water for irrigation,” says a Bilendi resident. According to Shambhu Singh of Aamli, only villages under total submergence zone are at a loss. “In villages that are on the outskirts of the submergence area, like Sarthal, water will retreat for some time but it will make the land fertile and irrigated without any external help. People can at least grown one crop in these villages,” he says. But people in the submergence area are not convinced. “Why can’t the government build small anicuts instead of a dam?” they ask. “If the project comes up, there will be blood, not water, in the river,” says Ganim Boh of Bilendi. Besides submerging villages, the project will affect religious places of heritage value. For example, Kakoni, the eighth century temple in Baran, which was declared protected by the state archaeological department in 1970. The temple priest says every time the department digs up some area around the temple, it discovers new statues. “A new page of our history unfolds here almost every day,” he says. Chhattrasal Singh of PDKHJBS informs the temple is on a hill. “It won’t be submerged but all access to it will go under water,” he says. Religious sentiments will be hurt along with loss of architectural heritage, says a resident of Bukhari village in Jhalawar. 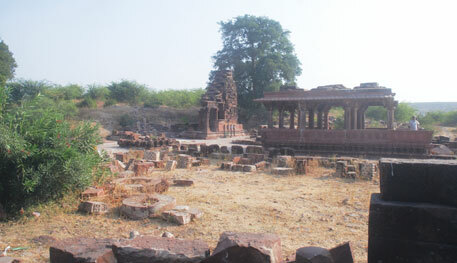 The Kalla Maharaj temple near Akawad village is under threat of submergence. People offer wall clocks in the temple when their wishes get fulfilled. Umrao Singh, superintendent for Kota from the Rajasthan archaeological department, explains the importance of the temples. “These are old temples. If they are lost, we will lose our history. I hope the government has a plan in mind about giving an approach road to the Kakoni temple,” he says. When the Union Ministry of Environment and Forests (MoEF) was contacted to check whether the project has been granted environment and forest clearances, it seemed confused. “We are carrying out a preliminary enquiry and it appears that ‘probably’ the expert appraisal committee considered the project and granted environment clearance in September last year,” says a senior MoEF official. When Down To Earth checked MoEF online records no information on the project was found. The planned dam, which is yet to receive forest clearance, is likely to submerge some protected forest patches. In September this year, the Forest Advisory Committee discussed the dam project and its requirement of diverting 1,835 ha of forestland. 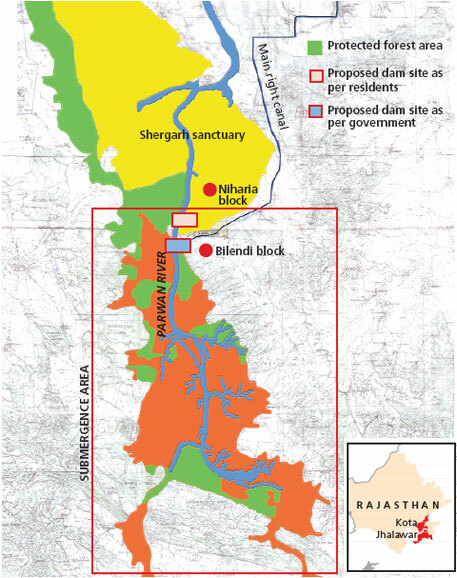 Pointing out that the project site is just 150 metres from the Shergarh wildlife sanctuary, home to crocodiles, panthers and nilgai, the committee formed a sub-committee to visit the site. T C Todaria, an independent member of the sub-committee, says the planned visit is yet to happen. The dam actually falls inside the sanctuary (see map). It is in Niharia block which is next to the Bilendi block. The line that demarcates Niharia from Bilendi is also the boundary of the sanctuary. People in the area and the government are at loggerheads over the dam location; while people say it is in Niharia block, the latter claims it is in Bilendi block. To resolve the issue, in June, the forest department called for a joint survey, involving the revenue and forest departments and the local community. PDKHJBS head, who participated in the survey, says the study started from Mokhampura village, walking on the Bilendi block boundary from east to west. After walking some distance, the boundary overlapped with the common line between Bilendi and Niharia blocks. The boundary of the sanctuary and the blocks was marked using the block files and pillars. On the next survey date, instead of starting from the place where they had left, the government officials started studying from Maloni village toward the north along the Parwan river. In their inspection report, the officials concluded that the dam site is 150 metres upstream of the boundary of the sanctuary. “The officials had a fair idea by the end of the second day that if they go according to the block file, the dam site would fall in the sanctuary in Niharia block,” says PDKHJBS head. Residents produce a letter dated June 12 from the principal chief conservator of forests (PCCF) in Jaipur to the chief conservator of forests (CCF) at Kota. In the letter, the PCCF has asked the CCF to produce a report stating “the Parwan scheme does not fall in the Shergarh Sanctuary”. The CCF Kota passed similar orders to the district forest officer (DFO) at Baran on June 13. This was followed by the joint survey. DFO Baran, P D Gupta, says the dam was initially designed to be at the boundary of the sanctuary. “At my intervention, it was shifted 150 metres away. According to their feasibility report, this was the maximum they could shift.” Mohan Lal Meena, chief conservator of forests (CCF), says the sanctuary boundary is the same as the boundary between Niharia and Bilendi blocks. He confirms:“The dam is 150 m away from the sanctuary.” Meena adds that he knows why people are against the dam. “The dam will submerge forests that have been encroached upon by people for residing or agriculture. These encroachers will not get any compensation if the project comes up,” he explains. The author has not evaluated the alternatives to a large dam. As quoted why can't the government build small anicuts? Has this option, which appears feasible and not so disruptive, been investigated?